SugarCRM is Cupertino (CA) based company which started operations in 2004. The company is a path-breaker in many ways. One of the key aspect of the solution is that it released a base version name SugarCRM Community edition, also called SugarCRM CE, as opensource. This helped the company acquire a size-able customer base. The organization expected that the customers would migrate to the paid editions after their test run on this version. Read what makes SugarCRM so popular specially among small and mid-sized organizations. It is still possible to download and install SugarCRM Community edition. The section below explains how to do that. 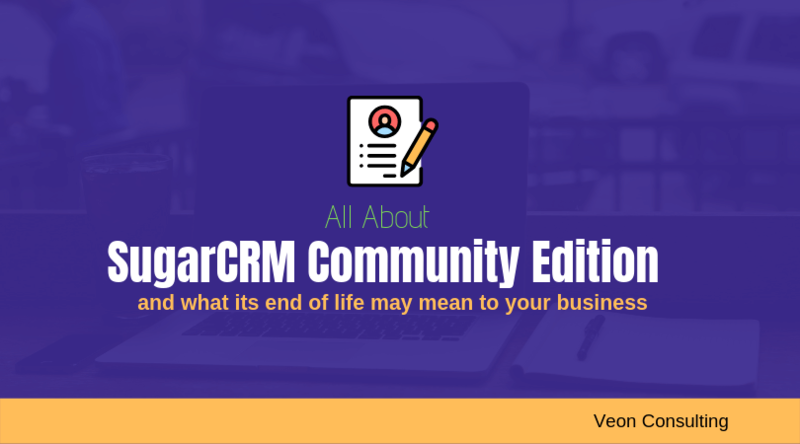 If you are evaluating your options, now that SugarCRM Community edition is no longer supported by SugarCRM, we are listing them down for your consideration. You can continue with your current SugarCRM installation. However, bear in mind that no new patches will be released by SugarCRM and hence you may need to deal with security and upgrade to latest technology, yourself. You can also contract a development to take care of ongoing development and maintenance. This may be the case, if the SugarCRM instance you are using is heavily customized, or, exposed to your external business partners. However, you may understand that this may not be a good long term strategy. You may have to develop your custom application or consider other alternates given below. You can move to paid version of SugarCRM which will give you other rich features. However, there will be a cost associated with the same. Professional and enterprise edition of SugarCRM are the most popular versions of the software. This will also save you the hassle of getting unsupported again in future. If you have the budget, or if your user base is relatively small this may be a good option. If open-source and cost were the key reasons why you chose SugarCRM you may consider moving to SuiteCRM. It is largely based on SugarCRM 6.x version and provides many other features. Read this article on growing popularity of SuiteCRM. The SugarCRM CE can be downloaded from SourceForge. You can do so by clicking on the link here. Once you have downloaded the package, following the following steps to install the same on your server. # 1 Ensure that you have Apache, MySQL and PHP stack on your webserver. If you don’t know where to start on this contact your hosting company. # 2 Properly set up the PHP parameters. These parameters reside in php.ini file of your server. Usually we find that post_max_size and upload_max_filesize need to be increased and made to a value which is more than the SugarCRM file size. # Create a MySQL database using the root user. # Create a MySQL user which SugarCRM will be using the communicate with the database. # Give access of this newly created database to the MySQL user. If you miss this step, you will have issues downstream. SugarCRM installation may run into some technical details. However, if you have deployed a PHP application earlier it should not be that difficult. Go through the following steps for installing the software solution. #Copy the downloaded SugarCRM file into a folder within public HTML folder of your webserver. # Give 775 permission to directories and 664 to config.php and other files. # Launch the SugarCRM in your web browser by giving the server address and folder name you chose in earlier step. # The set-up wizard will be launched which will prompt you for selecting language and creation of admin user within SugarCRM. # The wizard will also ask for MySQL credentials. Great! So now you are done with SugarCRM CE installation. Let’s look at what features are there within the application. SugarCRM CE is a powerful tool, if harnessed in a proper manner. It is structured around the three business functions of a company. 1 Sales This feature is focused on driving more business to company. As one would imagine, this is the most sought-after feature of any CRM. SugarCRM community edition makes it possible to manage the following aspects of the business. Accounts – Managing all the associated B2B organizations on sales side. Contacts – Managing all contact persons within the business. Activity – To record sales activity and to-do list for sales people. Opportunity – This feature ensures that you capture pipeline information in an accurate manner. 2 Customer Support To keep customers happy, organization needs to answer the questions and provide service to them on regular basis. SugarCRM CE helps by facilitating the following modules in this area. Case – Handling of all the customer issues and assignment to support agent. Email – Parsing of inbound support mail into cases. 3 Marketing To manage prospects which have not converted or to engage existing customers, it is important to keep communicating via various channels. Campaign – This helps in managing various campaigns and channel and gives ROI figure for the same. Targets – You can convey the right message to the correct people by segment them into targets. Outbound Email – SugarCRM CE helps you in sending outbound mail campaign to your targets. Having discussed the features SugarCRM CE provides, it is important to understand that there are some limitations of the solution as well the fact that it was meant to promote the paid version of SugarCRM. Workflows, Sales Forecasting and Knowledge base were the key limitations of SugarCRM CE. It may be noted that you can invest in paid version of SugarCRM to avail of these features. If you are planning to or already using on SugarCRM CE, we must say that you have made a good choice. However, we strongly recommend that you get a maintenance or support from one of SugarCRM development companies. You can always migrate to a paid edition if you feel the need for enhanced functionality as majority of code base for SugarCRM CE and paid version is the same. You can also opt for SuiteCRM which is an open source fork of SugarCRM 6.x. It is maintained by a company named as SalesAgility. Read this guide on how you can install SuiteCRM in a step by step manner. Here are some answers to the usually asked questions on SugarCRM CE. Is SugarCRM still maintaining community edition? 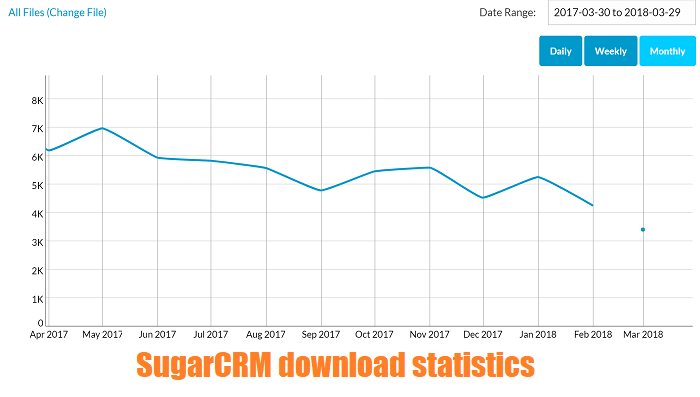 Is SugarCRM Community Edition stable? Are there any risks in implementing SugarCRM Community edition? No SugarCRM is not maintaining CE. If you are looking at long term support you need to do it yourself or sign up with a company which can do it for you. Remember you can always upgrade to paid version if you want to. Yes. It is one of the best version released by the company and scale-able to a very large extent. A lot of companies around the world use this version of the application. The key thing to understand is that either you need to maintain your CRM or contract it with any professional service provider. You always have the option to move to SuiteCRM or paid version of the application as the code base is largely the same. Our consultants have worked on SugarCRM since it was it in its 4th release. We have thorough understanding of the platform and we can suggest you a good way ahead if you are looking at implement the solution. Contact us now for a free no -obligation call. Veon brings best in consulting and integration solutions on Salesforce, SugarCRM, and SAP. It is an innovative company which deals best of the breed solution using integration solutions on the above platforms. making small and medium enterprise become smarter.